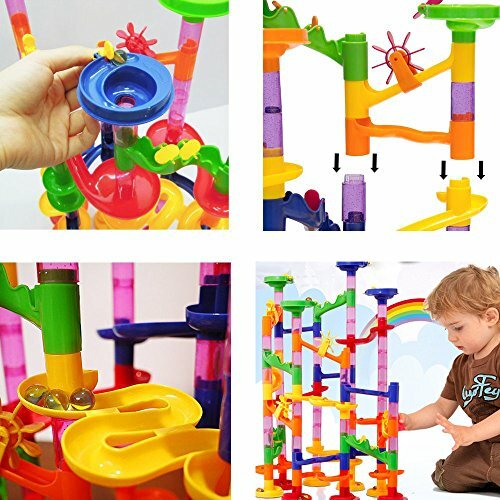 Marble run building blocks toys good for children try to construct more extensive creations.These toys are a fun and easy way of letting children explore their creativity. 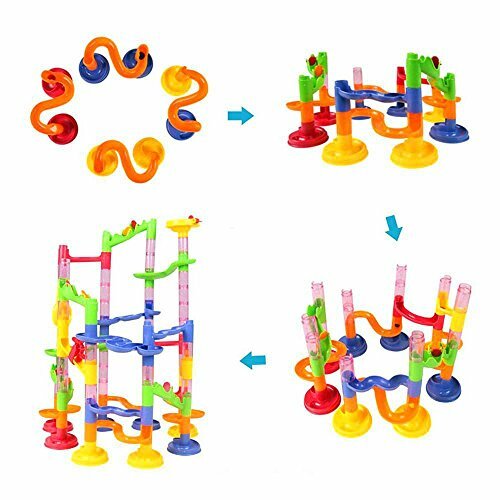 Marble run game,solid plastic pieces that stick together and are easy for kids to play with.In these fun marble run,each of the different blocks has a different function help childrens practice their logical and engineering thinking. As a gift for your kids such as christmas and birthday also adults can play with kids,assembling these blocks with your kids and you can make wonderful memory together so enjoy the family time. 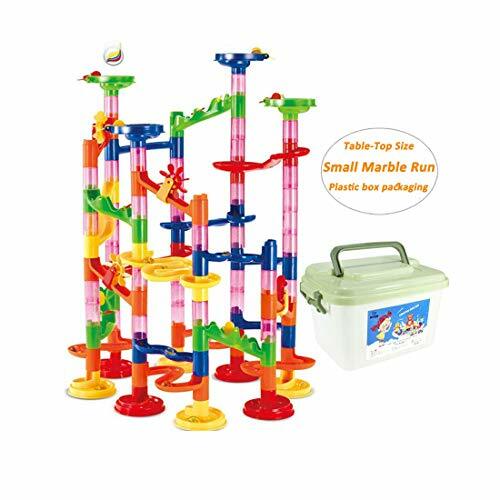 Mini marble race set contains curved tracks, chutes and ramps that fit together in many variation.Setup multiple entry points to create an exciting roller coaster. Warranty: If you don't satisfied with it please please contact us,will refund or replace. Note: this is small marble run. The diameter of the marble size is 1cm/0.39inch, the wide of the hole is 1.6cm/0.6inch. 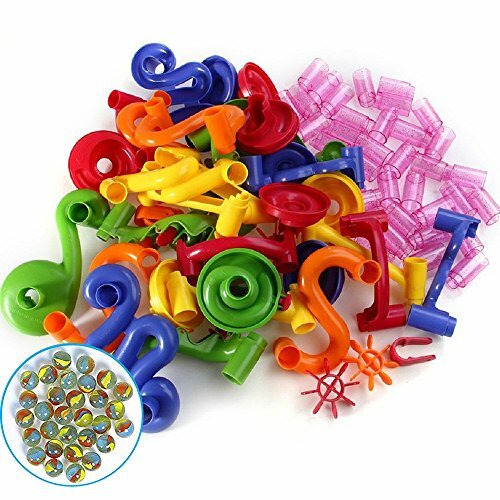 105pieces total: 30pcs mini marbles,75 building piecesl. Plastic storage box package. Packing Size:12 X7.5 X 6.3 inch. Step-by-step Instructions sheet included. Note: this toy not suitable under 3 years old children due to small parts. 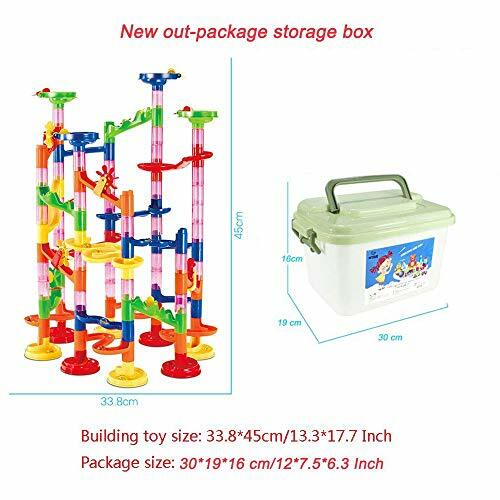 Notice: Please order from Yuanritong Co.,ltd, other sellers haven't plastic storage case package also no quality assurance. This kit has all the tools young builders need to create projects. Each new project encourages creativity and independent, imaginative play. With this classic kid-sized tool kit, children are not only playing, but are also building important developmental skills. Colorful and beautiful appearance can stimulate the brain and thought of kids. 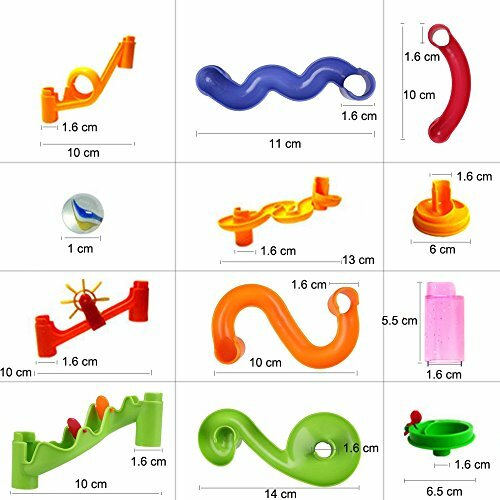 This marble race toy is a blast! The 105pcs DIY trace building blocks are a good educational toy for your family. 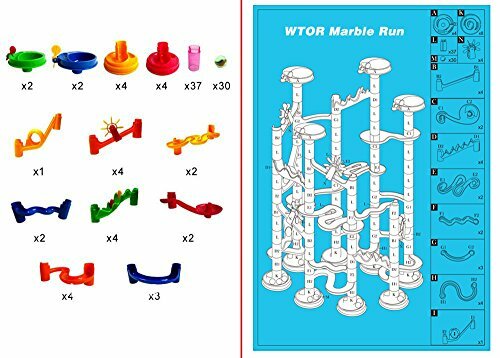 The marble race track is a great item to teach young kids about momentum and properties of gravity through the marble running in the track. Note: this toy not suitable under 3 years old children due to small parts.3 years old children above and accompanied by parents. Warranty:.If you purchase WTOR product and don't completely satisfied with it please feel free to contact us. So buy with confidence in WTOR. Notice: Please order from Yuanritong Co.,ltd, other sellers are no quality assurance.